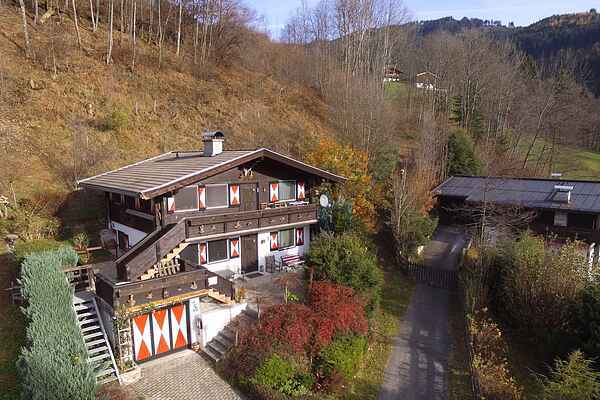 Located at the edge of the village of Niedernsill, in the middle of the Salzburgerland on the sunny side of the valley, just above the village. When you arrive, you'll immediately notice the stunning vistas and breathtaking natural beauty with the amazing peaks of the Hohe Tauern National Park. The chalet consists of 2 apartments, each with its own entrance and terrace. You'll have both the top and bottom apartment at your disposal; this way there is sleeping accommodation for up to 10 people, ideal for friends or families travelling together. Each apartment is spacious and very practically and tastefully decorated. Each apartment has a pleasant living room with wood stove and open kitchen. Also 2 bedrooms and a modern bathroom. There's a wonderful terrace next to the house, providing a lovely view. Skiing enthusiasts can use the skiing area of Zell am See and Kaprun, both about 12 km away. During the high season, you could also consider the adjacent skiing area of Walchen, which makes a nice challenge for kids or beginning skiers. During the summer there are plenty of sports and hiking activities for you to do, and you can reach most of the sights of Salzburgerland very easily.